Salesforce CEO Buys Time Magazine For $190 Million - Joe.My.God. Time Magazine is being sold by Meredith to Marc Benioff, a co-founder of Salesforce, and his wife, it was announced on Sunday. 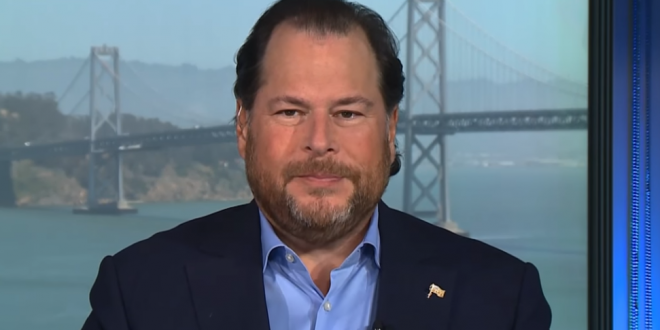 Meredith announced that it was selling Time for $190m in cash to Benioff, one of four co-founders of Salesforce, a cloud computing pioneer. The Benioffs are purchasing Time personally, and the transaction is unrelated to Salesforce.com, where Benioff is chairman, co-chief executive and co-founder. Benioff was honored by GLAAD in 2016 for helping to organize a boycott of Indiana over then-Gov. Mike Pence’s signing of an anti-LGBT “religious freedom” bill. He has also used his clout and wealth to push back against anti-LGBT legislation in other states.